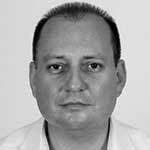 Dr. Evripides Zantides is Associate Professor at the Department of Multimedia and Graphic Arts of the Cyprus University of Technology. He studied at Aristotle University of Thessaloniki, Greece (PhD in Visual Communication), at University of Kent, UK (MA in Graphic Fine Arts-best graduate award with full scholarship), at University of Wolverhampton, UK (BA Graphic Communication) and at Higher Technical Institute, Cyprus (HND Electrical Engineering). He started his academic career in the Department of Design and Multimedia at Intercollege, Cyprus (1997-2007) which then gained University status (2007) and continued working as coordinator of the Graphic Communication Program (2004-2009) at University of Nicosia. He joined Cyprus University of Technology in 2009. His professional activities include the presentation of research papers at a number of international conferences on semiotics, graphic design education, typography and visual communication, and his participation, with distinguished practice work, in refereed Art and Design biennales and other international exhibitions. 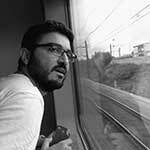 Actively involved in conference and exhibition committees, he is the delegate for Cyprus in the International Typographic Association (ATypI), as well as a member of the Hellenic Semiotic Society (HSS). He has served in committees of the Cyprus Council for the Recognition of Higher Education Qualifications (KY.S.A.T.S.) and has also served as chairperson in evaluation committees of the Council for Educational Evaluation and Accreditation (S.EK.A.P). His research interests are based on semiotics and identity in the process of audio/visualising verbal language using image, text/typography and sound. He is the founder and director at the Semiotics and Visual Communication Lab of the Cyprus University of Technology (www.svclab.com). Omiros Panayides is Lecturer of Graphic Design at the School of Fine and Applied Arts at the Cyprus University of Technology. He studied Graphic and Advertising Design at Frederick Institute of Technology and obtained his MA in Graphic Design at the University of Arts London at Camberwell College of Arts. In September 2009 he represented Cyprus in the Applied Arts category at the 14th Biennale of Young Artist from Europe and the Mediterranean in Skopje. 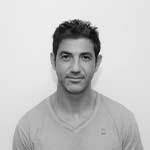 He is part of the founding members of the Cyprus Association of Graphic Designers and Illustrators. His professional practice and academic research pivots around Book Arts, Zines, Typography, Visual Archives and the Preservation of Visual Communication in Cyprus through the Graphic Design of Printed Matter. 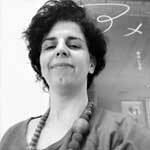 Aspasia Papadima is Associate Professor in the Department of Multimedia and Graphic Arts at Cyprus University of Technology. She works both as a graphic design consultant and a graphic artist. Her work has been awarded in global competitions and shown at a number of international design exhibitions. Her research interests include typographic design, typographic rendering of the Cypriot dialect, visual language and technology, ephemeral design and vernacular typography, and urban graphic language. 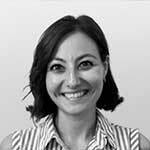 She is the Founder and Coordinator of the Language and Graphic Communication Research Lab (www.lgcrl.com), as well as a member of the Cyprus Association of Graphic Designers and Illustrators. Savvas Xinaris is a graphic designer based in Nicosia, Cyprus since 2004. He worked as a graphic designer and he offered consulting services for local and multinational organizations. In his practical work, he frequently uses typography to resolve visual communication problems. 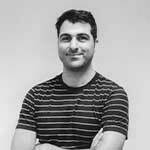 He is a founding member and a board member of the Cyprus Association of Graphic Designers and Illustrators (CAGDI). 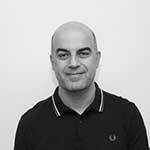 Savvas acquired his Master of Arts degree in Graphic Design from London College Of Communication (LCC), University of the Arts London, United Kingdom in 2006. He also holds a Bachelor of Arts degree in Graphic and Advertising Design from Frederick Institute of Technology, Cyprus. He is a faculty member at the Fine and Applied Arts Department, Frederick University, and the Coordinator for the BA Graphic and Advertising Design program. 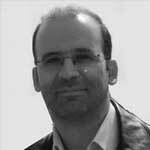 His academic research covers several topics relevant to typography and its dissemination in Cyprus. Particularly, he explores the use and role of posters in Cyprus and he works to amass and archive this material. He authored articles in typographic and graphic design publications. He presented his work in seminars, conferences, and exhibitions. Moreover, he originates graphic design projects, curates and organise exhibitions and seminars. Theseas graduated from Central Saint Martins College of Art & Design in 2003 with a Master's degree in Communication Design. 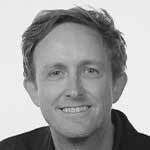 He also holds a BA degree in Graphic Communication from the University of the West of England as well as a diploma in Graphic and Advertising Design from the Frederick Institute of Technology in Cyprus. 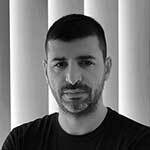 He taught Graphic and Advertising Design at the Department of Fine & Applied Arts of Frederick Institute of Technology for eight years and since 2003 he is the Creative Director of Cherrycube Design Studios Ltd in Cyprus. He is currently working as a Lecturer at the Graphic & Multimedia Design Department of the Cyprus University of Technology. His professional work has been awarded and recognized in both national and international design awards (EVGE 2011, CIPB 2011, PYGMALION 2011 & 2012). He has participated in several international design exhibitions and biennials and his work has been acknowledged in various publications both locally and internationally. He has also participated in several international judging committees on various Graphic & Advertising Design areas, he is a member of Information Design Association in London (IDA), member of the Cyprus Creative Club (member of the ADC*E) and member of the Semiotics & Visual Communication Lab of the Cyprus University of Technology. Jeff graduated in 1986 with a first class honours degree in multi-disciplinary design and won the UK final of the Letraset International design competition that same year. After further post-graduate study, he worked for a number of studios before moving into education, eventually running both an NDand HND in Graphic Design at Further Education level. Jeff went on to set up his own consultancy, boing!, in 1994 with business partner Giles Woodward, working specifically for ‘arts’ clientele. Their work was featured over the years in Creative Review and in numerous design publications. Jeff was Subject Leader, Graphic Communication at the University of Wolverhampton for thirteen years but now works across the school as International Development Manager. He continues to learn, explore, discoverand practice; having in the last few years completed an MA in Interactive Media. He is currently studying for his PhD; an enquiry into digital projections / installations that predominantly focus on graphic messagesand memes to develop an augmented space. Dr. Arafat Al-Naim is a graphic artist, designer, educator, and the moving spirit behind international art and design projects. He holds a BFA, MFA and P.h.D in Graphic Arts and MST in Art Teaching from the National Academy of Arts, Sofia, Bulgaria. He has lectured and has presented research papers at international conferences. Dr. Al-Naim is a former Dean of Faculty of Arts & Design at ASU, Amman (Jordan), Head of Graphic Design Department at ASU and Zarqa University, Member of ICOGRADA (Education Network), Curator of the International SYMPOSIODESIGN - Amman and Editorial Board Member of the International Design Journal “Design Behaviors” and International Affairs Officer in Jordanian Plastic Artists Association, Member of International Lab of Semiotics and Visual Communication, Cyprus University of Technology, Member of Ranking and Promotion Committee of Specialists, Cyprus University of Technology and UNiC, Cyprus, Member of the Scientific Committee of the 1st International Conference on Semiotics and Visual Communication (ICSVC), Limassol, Cyprus, and the 4th International Conference on Typography and Visual Communication (ICTVC), Nicosia, Cyprus and co – director of the United Designs Biannual, international design exhibition since 2006. 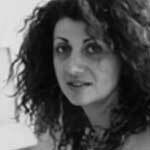 Anastasia Christodoulou is associate professor in Semiotics in Aristotle University of Thessaloniki, Greece. Her booksand papersand her research interests focus on issues pertaining to semiotic textand image analysis, mainly in the field of education (textbooks, visual literacy, educational laws)and in the broader social sphere (advertising, values education, attainable luxury, football-logotypes). She has published three books independentlyand two books in collaboration. 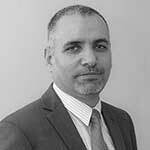 George Damaskinidis holds a Doctorate in Education (The Open University, UK), a Master’s degree in Education (The Open University, UK), an MA in Translation Studies (Birmingham, UK)and a BA (Hons) in Humanities with English Language (The Open University, UK). He is a teaching assistant at the Aristotle University of Thessalonikiand at the University of Western Macedonia, in Greece. He has co-designedand co-taught language, semioticsand visual literacy courses at a post-graduateand undergraduate level. He also teaches English Military Terminology at the Hellenic Army Commandand General Staff College (SDIEP). He has lectured at universities in Greeceand abroad around his research interests. He holds the professional Certificate of English Language Teaching for Adults (CELTA) from Cambridge University. He is the author of Joint Military English. A Specialized Course (Athens: Tourikis Publishing)and H Ereunitiki Protasi sti Metaptixiaki kai Didaktoriki Ereuna [The Research Proposal in Masterand Doctoral Research] (Thessaloniki: Epikentro). He has published articles in the areas of visual literacy, translation,and semiotics, in peer-reviewed journals, thematic volumesand proceedings of international conferences. 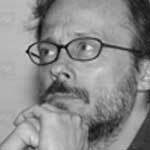 His research and teaching are in the field of Cultural and Visual Studies. He has edited collective volumes and published extensively in the areas of his main research interests: cultural and media theory, semiotics and visual communication, cultural policy and cultural politics. Since 2004, he also teaches in the M.A. in Cultural Management of the Greek Open University. He is President of the Hellenic Semiotics Society (2012-) and Editor in Chief of Punctum. International Journal of Semiotics. 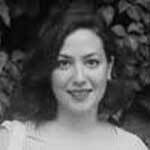 Lia Yoka is associate professor of art historyand theory at the School of Architecture, AUThand coordinator of the “cultural theories” module at the Interuniversity Postgraduate Programme in Museology, AUThand University of Western Macedonia. She studied history at the Aristotle University of Thessalonikiand art history at the Ludwig Maximilian Universitaet in Munichand at the University of East Anglia in Norwich. She has edited three volumes on museologyand cultural studies (2009, 2010,and 2012)and has published, in Greek, English, German, French on the history of comics, the critique of technoscienceand 19th centuryand early 20th century Greekand European painting. She translates, editsand writes for the Editions des Etrangers in Thessaloniki. Her Metaphors of Reproduction and a study of representations of reading women will be published in 2012 by Panopticon editions. Evangelos Kourdis is Assistant Professor of Translation Semiotics in the Department of French Language & Literature, Aristotle University of Thessaloniki. He holds a University degree from the Department of French Language and Literature, Aristotle University of Thessaloniki, and part of his studies were at the Department of Linguistics and Didactics and at the Institute of Experimental Phonetics at the University of Strasbourg. He has a master’s degree in Sociolinguistics from the Interdisciplinary Program of Postgraduate Studies in Sciences and Technologies of Language and Communication of the Faculty of Philosophy at Aristotle University of Thessaloniki, and a master’s degree (D.E.A.) in Semiotics from the Department of Sciences of Languages at the University of Rouen. He also holds a PhD in the Sciences and Theories of the Language and Communication of the Faculty of Philosophy at Aristotle University of Thessaloniki. He has worked as a Scientific Associate in French Language and in Greek Linguistics at the Institute of the Technological Educational Institute of Thessaloniki (Greece), at the University of Thessaly (Greece), at the Hellenic Open University (Greece), at the Technological Educational Institute of Patras (Greece), and at the Technological Educational Institute of of Epirus (Greece). He is also teaching in the Program of Postgraduate Studies in Cultural Studies: Semiotic structures and practices at the University of Western Macedonia (Greece). He gave lectures about Translation Semiotics at the Southeast European Center of Semiotic Studies of the New Bulgarian University of Sofia (Bulgaria), at the University of Galatasaray of Istanbul (Turkey), at the University Ca' Foscari of Venice (Italy), at the Technological University of Cyprus, at the International Semiotic Institute of Imatra (Finland) and at the University of Cyprus. He has participated in many national, international and world congresses, and has written articles in scientific journals of Semiotics and of Translation. In 2007, he published a book titled Thessalian Dialect. From the social signs to the language ideology. (University of Thessaly Press, Volos, ISBN 978-960-8029-490). He is a member of the Hellenic and International Association for Semiotic Studies, of the Greek Applied Linguistics Association, of the Greek Association of Traductology, and of the International Society of Greek Linguistics. Sonia Andreou is a graduate of the Cyprus University of Technology in the field of Graphicand Multimedia Design. The topic of her B.A. dissertation was the relationship between the representations on Cyprus medieval coinageand the socio-political background affecting their production. She continued her studies at the University of Essex (U.K.), obtaining an M.A. in Art Historyand Theory. Her research topics included semioticand visual analysis of photography, with the aid of philosophicaland psychological theories. The title of Sonia’s M.A. thesis was ‘‘Abjection, Empathyand Spirituality in the Photographic Work of Joel-Peter Witkin’’. 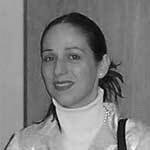 Yianna Americanou received her MA in Filmand Television Production from the University of Bristol, UK in 2000 with a scholarship from the British High Commissionand her BA (with High Honors) in Communication Studies with an emphasis on Experimental Filmmaking from the University of Iowa, USA in 1996. She is currently pursuing a PhD on Women’s Cinema in the Middle East at Birkbeck College, University of London with a scholarship from the Department of Film, Mediaand Cultural Studies. Her academic career begun in 2004 with teaching at Intercollege (Nicosiaand Limassol) Film Studiesand Introduction to Electronic Mediaand Introduction to Digital Media. She is a Lecturer of the Applied Arts Department of the School of Architecture, Audio-Visual Communications teaching Film Aesthetics, Directing Commercialsand Art Direction at Frederick Universityand a Visiting Lecturer on Film Productionand Scriptwriting for Video Games at the Technological University of Cyprus teaching both the BA coursesand MA courses since 2009. Her short films have received International Awards from renowned film festivals such as Oberhausen IFF, Hamburg IFF, Drama IFF etcand she is currently working on her first feature film which has received funding for script development by the Cyprus Cinema Advisory Committee. Her short film After – Death received Distribution from British Shortsand was short listed for the BAFTA Awards. The Film was funded by the British Film Counciland is currently in the British Film Institute Catalogue. 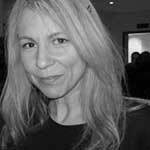 She has worked on the factual programming of BBC Bristoland BBC Dramaand as an editor while living in the UK. Upon her return to Cyprus, she structured the first MEDIA Office in Cyprusand coordinated the program for ten years. 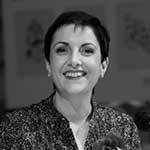 She is a Member of the European Directors Union, the Cyprus Directors Guildand European Women’s Audiovisual Network; she has acted as a member of the Cinema Classification Committee (Pressand Information Office)and as a member of the Cinema Advisory Committee of the Ministry of Educationand Culture. She is currently Head of the Committee of the Motion International Film Festival, Cyprus. Her area of Research includes Creating Narratives with New Media, Digital Storytelling, Genderand Women filmmakers, Identity-Memory-Trauma, Narrative Techniques for Video Gaming. Marina is a theatre designer based in Cyprus. She holds a BA (Hons) in Theatre Design for Performanceand a MA in Narrative Environments (Central Saint Martins). She is currently working on her PhD research at the Royal College of Art (‘Social Engagementand “Active Co-existence” in Contested Public Spaces, in the South Walled City of Nicosia, Cyprus’). She is the co-director of Schediaand co-curator of the Socially Engaged Design Conference. As a setand costume designer Marina has collaborated with the Cyprus Theatre Organisation (THOC), Theatro Lexi, Theatro Dionysos, Open Arts, Marios Mettis Theatre Group, Persona Theatre Group, CYSO. She has also collaborated with the following directors: Aliki Danezi-Knoutsen, Vasilis Myrianthopoulos, Marios Mettis, Athina Kasiou, George Mouaimis, Lea Maleni, Costas Gakis, Egli Spyridaki. In 2015, Marina was awarded the Prize for Costume Design for the play ‘Romeoand Juliet for 2’ (THOC, 2013) at the Cyprus Theatre Awards. 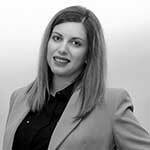 Despina has a multi-disciplinary backgroundand coordinates design projects in Cyprusand the UK. She is currently based in London where she has co-founded the design collective Eclective. Since 2011 she co-curates Narrative in Practice, a symposium exploring the value of narrative in creative practices. In 2009 she co-founded Schedia, a design collective focusing on spreading the word of socially engaged design in Cyprus. 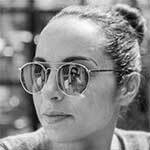 Despina holds a BA (Hons) in Artsand Designand a MA in Narrative Environments from Central Saint Martins. The Semiotics and Visual Communication Lab (SVC Lab) of the Department of Multimedia and Graphic Arts at Cyprus University of Technology was established in September 2009. It aims to promote research, theory, art and graphic design practice, as well as explore the role and application of Semiotic theories in the making of creative and effective messages within the context of Visual Communication.